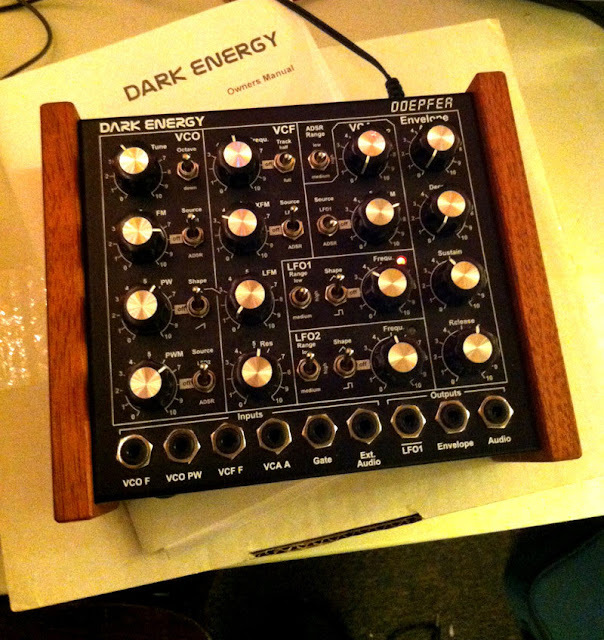 "Used Dark Energy mk1. in excellent condition. comes with original box, manual, power supply, and cables. the filter on this thing is killer! wish you could get it as a stand alone module... mk1 is out of production and differs from the current model in that it has a triangle core VCO, and a low pass filter- as opposed to the new one's sawtooth core and multimode filter..."